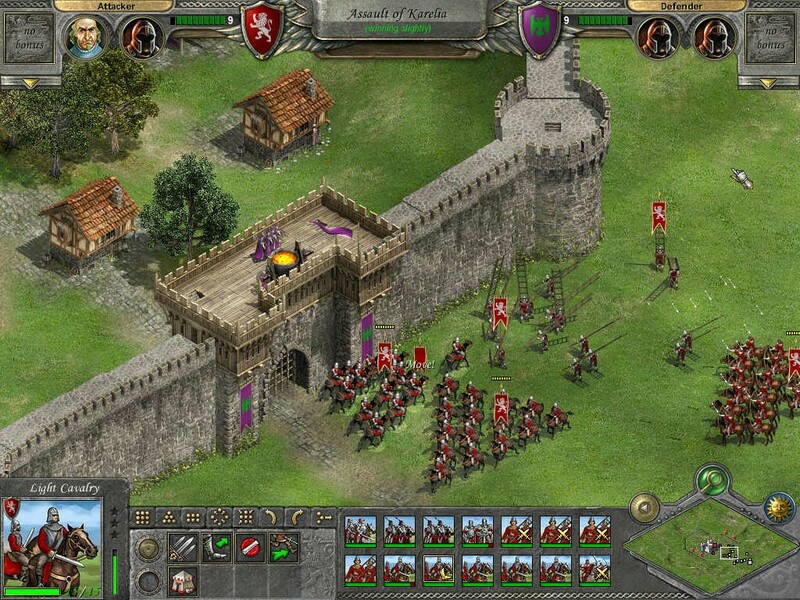 Along with World War 2, the Middle Ages may be the most popular historical settings for videogames. The days of knights, kings, feudalism, castles, and most importantly for gaming, melee combat is a perfect fit for the video game media. Because if shooting things with a gun and ordering other people to shoot things with a gun turned into a staple of gaming, the same can also be said with swinging a sword at things as well. So to celebrate the days of yore, and the gamers who want to experience the middle ages from a bird’s eye view, there are our top 10 Medieval Strategy games for PC. A prequel to the cult classic medieval RPG, Mount and Blade and its expansion: Warband. 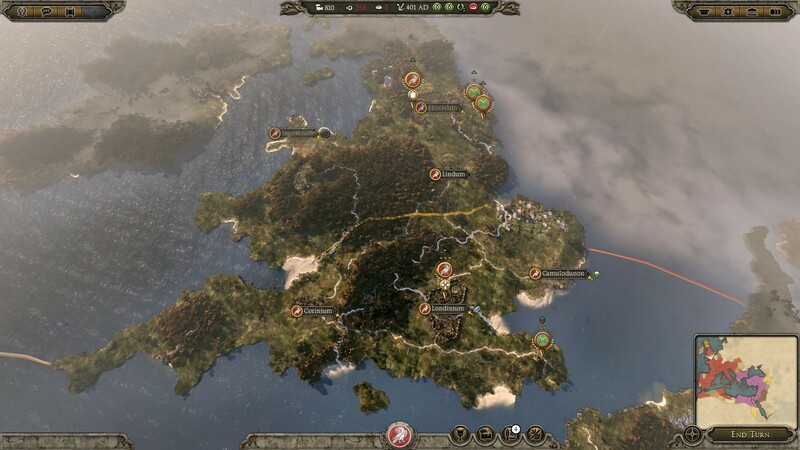 The upcoming Mount & Blade 2 : Bannerlord seeks to take the smattering of strategy elements existing in the original game and Warband, like the diplomatic marriages and maintaining your own feudal domain, and bring them to the forefront of the game. This time a major focus of the game is not individual battles between soldiers but taking part in sieges, both defending against them and participating if not leading them as an individual soldier. 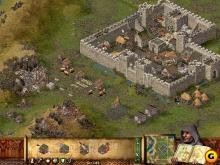 Build both defenses for your castle and the siege engines to break the enemy’s. In addition, an organic economy is promised as well, with the price of goods fluctuating naturally with supply and demand changing due to events in-game. The game seems to offer a mix between actions effecting just the player and the world around him. For example you can both engage in diplomacy forging treaties with other nations in this war ravaged land and modify and strengthen our personal weapons. 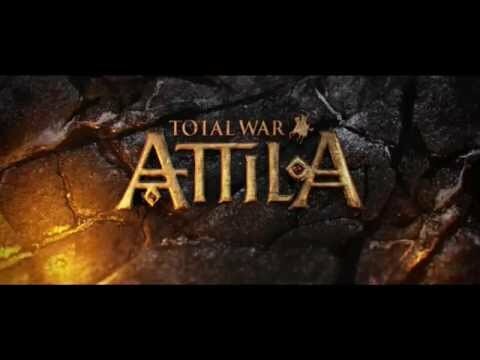 A spiritual successor to the Barbarian invasion dlc for Rome: Total War, Total War: Attila is set in the twilight of the ancient world as the Roman Empire teeters on the edge of collapse form internal discord and large migrations and invasions from the North-East. 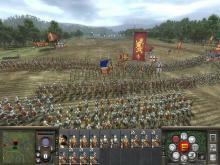 Improving upon the mechanics implemented since the franchise started, Total War: Attila offers beautiful graphics, well-seasoned mechanics regarding combat and “migrations” and in a bid to emulate historical accuracy, they implemented the “mini ice-age” changing the climate and fertility of land to prompt migrations. Knights of Honor acts like a combination of a Total War game and Age of Empires, where you make broad decisions on a world map but combat is done in an rts model. And the game comes with no shortage of mechanics to keep you engaged from diplomacy, economics and religion. 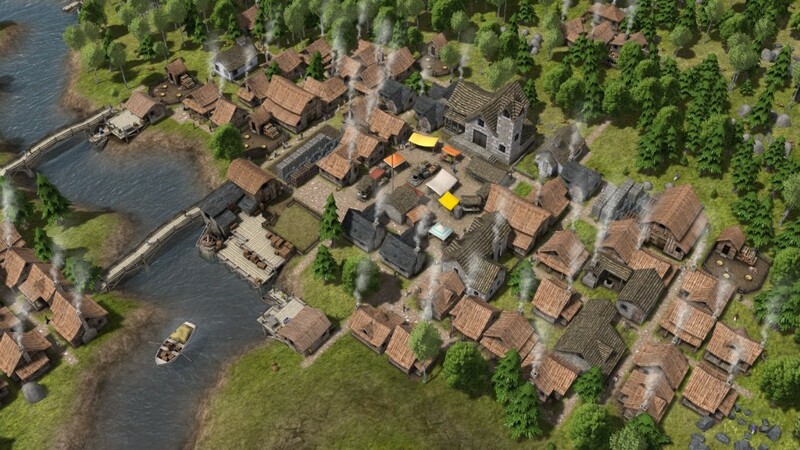 An indie game that can be best described as a combination of Age of Empires II and Sim City, Banished sees you in charge of a small settlement of fragile settlers with the goal of survival in a harsh wilderness cut off from the outside world save for the occasional trader. You need to manage housing, mating, food, warmth, etc. and at times this game becomes a frantic race to keep your settlers alive. A must for Grand Strategy fans wanting something medieval. 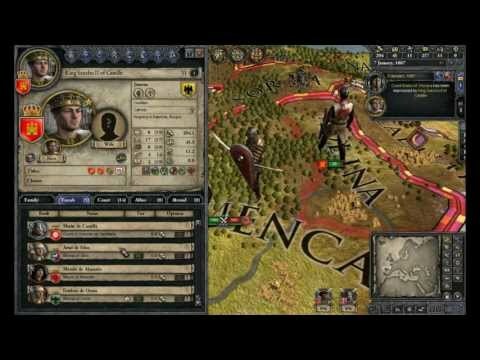 What makes Paradox’s Crusader Kings II work so well as a historically accurate game set in the middle ages is that players aren’t in control of a country per se but a dynasty, a family, they are the head of a family and that family holds titles ranging from minor nobles and vassals to kings and emperors. Even if you’re the King of France you have to place the other nobles in order to use their armies, it’s a refreshing move towards realism. 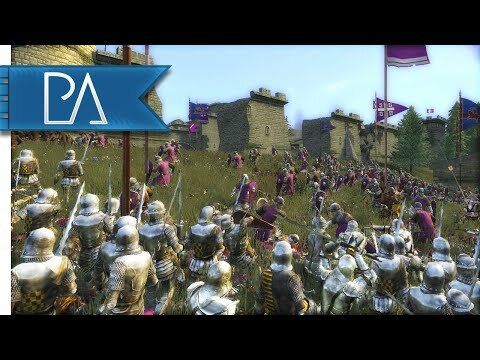 A grandfather in the medieval rts subgenre, the original Stronghold had you build up not just a medieval castle from scratch, but the entire economy required to maintain it. 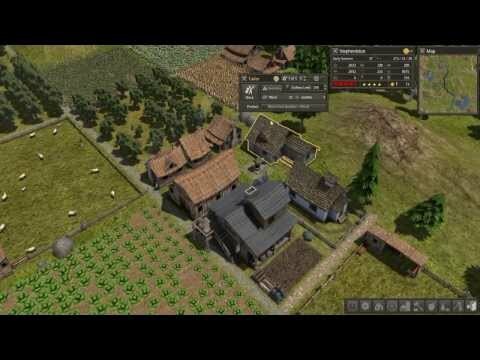 From trading to farming to forging weapons, in this game you not only need to protect your castle from enemy attack, but keep the society you’ve created running like clockwork to provide enough resources to support your own armies. 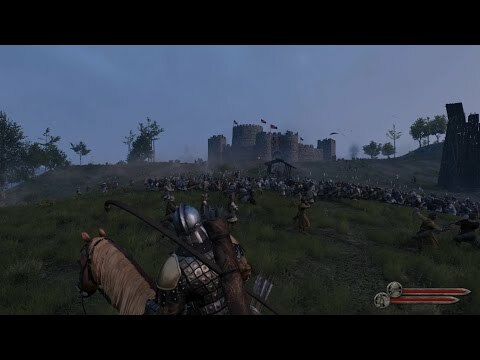 Stronghold offers more than just a simple skirmish mode but a variety of multiplayer and historical campaigns set in medieval England. And with an HD re-release on steam this classic is still enjoyable today. 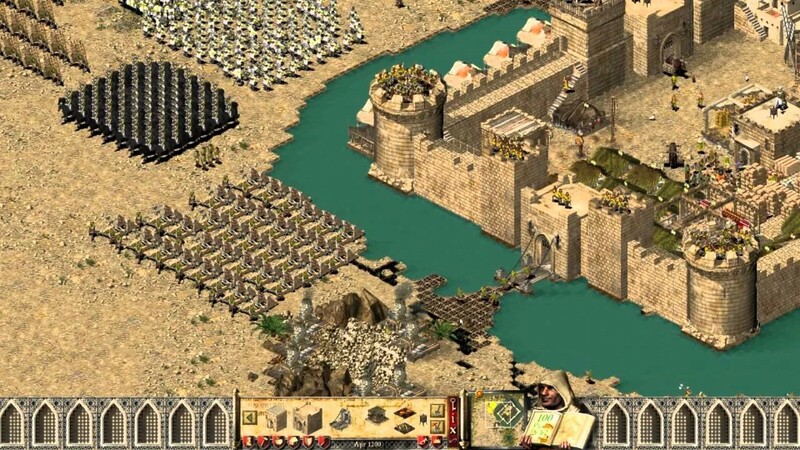 The Sequel to 2001’s Stronghold, Stronghold: Crusader is now set in the Middle East during the Crusades. Farmland is now limited and water is more important than ever so more attention needs to be paid to preserving your precious oasis territory. Follow the historical campaign mode as heroes from the Crusades such as Richard the Lionheart of Sala-al din or engage in a skirmish mode, or play with up to 7 others in a multiplayer match. Build and command from your own customized castle and fight in epic battles with or against the Muslim forces or the Crusader states. 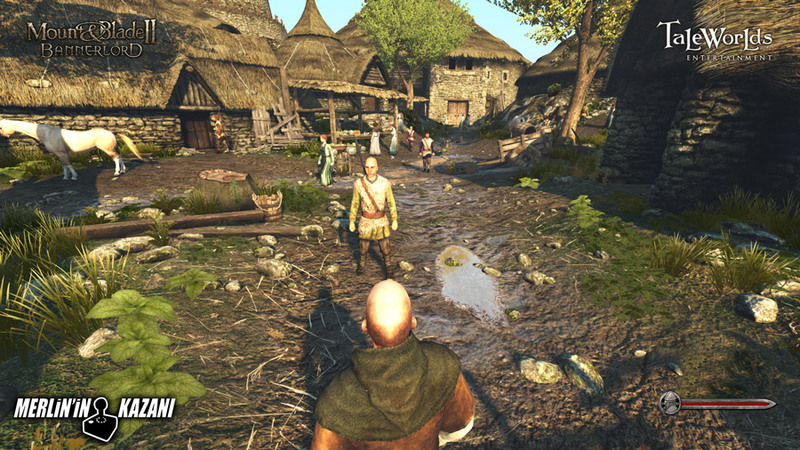 The game has recently received a healthy facelift with an HD version released on Steam. 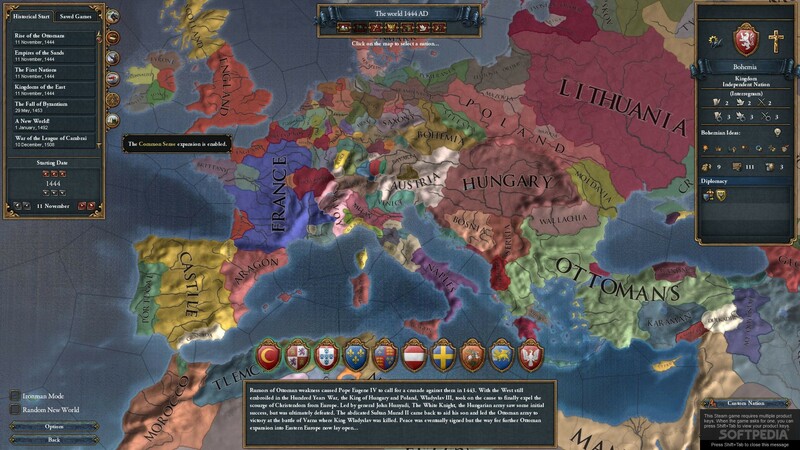 While technically set from the Renaissance to the Enlightenment, the grand strategy game Europa Universalis none the less involves a great deal of late medieval politics and war. Armies will start out still fighting with halberds, swords, and bows but I think being able to progress beyond this stage of technology will be satisfying for players who get sick of the same combat system over and over again. Set out to forge your nation into a great power at the twilight of the Middle Ages and into Modernity. Europa Universalis IV offers one of the most comprehensive and complex (and fun) grand strategy experiences ever. 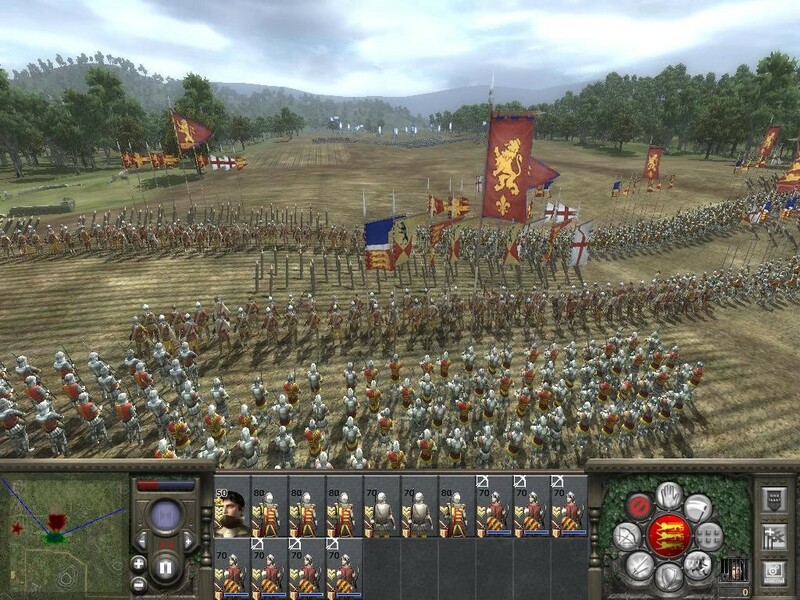 One of the most popular medieval strategy games, Medieval II: Total War gives players control over numerous 11th century factions, ranging from the Moors to the Rus. 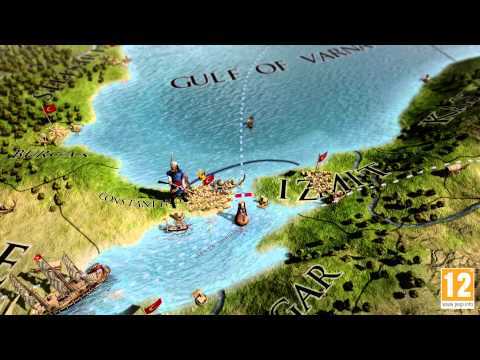 In this turn based/real time strategy game, you spend part of the game making large scale strategic decisions regarding diplomacy, production and your military, while spending the other part in real time battles commanding hundreds to thousands of men in an exciting and engaging combat system. You don't just smash your army into the enemy's, but send volleys of arrows and harass them with cavalry. 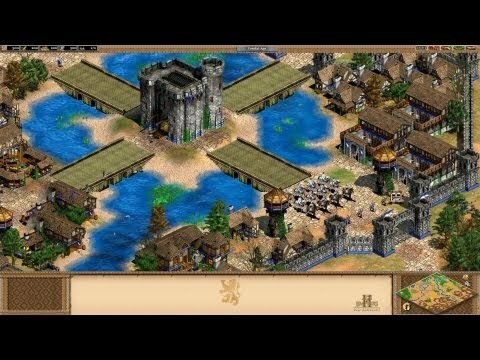 The second and arguably most popular of the Age of Empires trilogy. 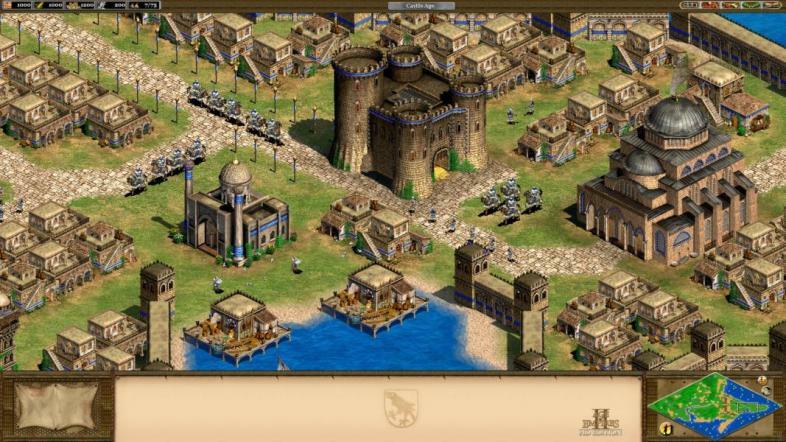 Age of Empires II is set from the Dark Ages to the Renaissance and includes a multitude of civilizations to choose from ranging from the Mayans to the Vikings to the Byzantines. 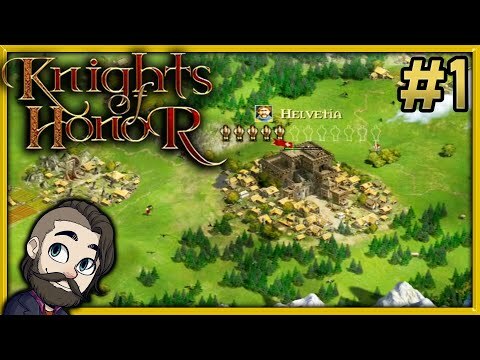 Start out with a small town centre and a few villagers and expand, cutting down forests, mining stone and gold, and hunting wildlife as you build up defenses and a rudimentary army and advance from age to age until you have a mighty force of well armored knights and siege engines sallying forth from a massive medieval city filled with houses, farms, castles, barracks, and blacksmith's shops. 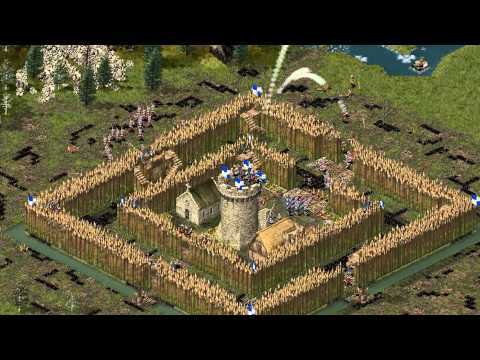 Combat in Age of Empires 2 tends to range from small skirmishes against the enemy to sending your entire army over to eradicate the enemy’s city to the rare big battle between armies sent to eradicate each other’s cities. A title so loved by its fans, it got an HD re-release on Steam 10 years after it first came out and on top of that in came with new factions available such as the Spanish and Songhai. So there you have our top 10 medieval strategy games for PC. While I am not the biggest fan of this genre-combination (I prefer more modern settings for strategy games) I still admire and respect the quality and variety of games within this niche market. 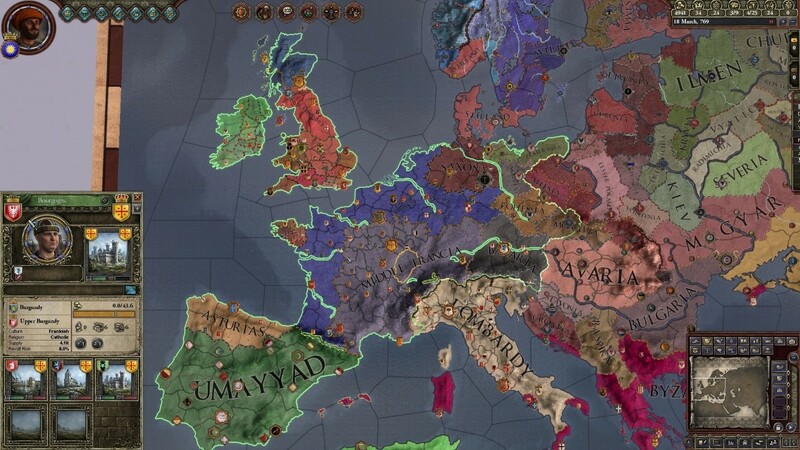 Being a history lover I have to really respect the developers when they pay attention to realism, such as Crusader Kings 2 with family politics, or Total War: Attila and its mini ice-age and migrations. Its always the close attention to details and walking the line between accuracy and good gameplay that pays off in these games.